Over the past 5-year period, all monitored individuals received measurable total effective dose (TED) below the 2 rem (20 mSv) TED ACL, which is well below the DOE regulatory limit of 5 rem (50 mSv) TED annually. Since the Fukushima meltdowns, the government of Japan changed the rules by increasing the allowable amount of radiation civilians are subjected to at 20-times higher than was previously allowed, which is almost the same as the highest dose exposure nuke workers may receive in an entire year! A significant portion of the Olympic games, including men’s baseball and women’s softball and the Olympic torch run, as well as the soccer training facility, will occur on land that the government of Japan has declared to be part of a “nuclear emergency”. This means that athletes and civilians will legally be exposed to allowable radiation levels that are 20 times higher than levels that exist at other athletic facilities on any other continent. Therefore, according to the National Academy of Science’s Linear No Threshold (LNT) radiation risk assessment, the athlete’s risk of radiation related maladies has also increased 20 times higher than if they stayed home. The people living in and around the Fukushima Daiichi disaster were informed by Japan’s government that they must return to their contaminated homes and villages if the radiation levels there were 2 Rem, even though they are being subjected to daily doses of radiation that is 20 times higher than any people living near any nuclear plants in Japan were ever subjected to. Rather than completing an effective cleanup, Japan’s government is forcing its evacuees to return to their allegedly clean but still highly contaminated homes if they wanted to continue to receive their financial refugee stipend. There are three fundamental problems that make the exposure to Japanese civilians much worse than the new dose limit. The first problem is with the government of Japan’s clearance criteria that only areas in and around homes have been allegedly decontaminated. I measured radiation along highways and then 50-feet into the surrounding woods, only to find that the woods remained highly contaminated, so that when it rains or snows, or the wind blows the dust or pollen from the woods, that radiation migrates back to people’s supposedly clean and radiation-free homes. I went to the top of 4-story high rooftops in Minamisoma that had been completely cleaned and repainted following the meltdowns. These rooftops were recontaminated by dust on the wind, blowing in radiation from the surrounding mountains. Peoples’ homes and communities that were claimed to be clean are indeed being recontaminated every day. The second problem is that the government of Japan is measuring only one type of radiation prior to forcing the refugees to return. Only the direct radiation from cesium is being measured with handheld Geiger Counters. Such measurements are the measurement of external gamma rays that travel through the human body uniformly, much like X-rays. Dr. Marco Kaltofen and I have long noted that ingestion of small radioactive particles, called hot particles or fine radioactive dust (or nanoparticles), migrate into peoples’ lungs and GI systems causing internal organs to receive heavy radiation doses for years on end. TEPCO and the government of Japan are ignoring the presence of these hot particles. The third and final problem is that some hot particles are extraordinarily radioactive, much more so than the average hot particles. In a peer-reviewed paper that Dr. Kaltofen and I wrote, we detail our scientific research which proves that more than 5% of these particles are up to 10,000 times more radioactive than the average of all 300-particles we studied. Of course, this means that peoples’ internal organs are constantly bombarded with extraordinarily high levels of radiation, much higher than the civilian evacuees are subjected to. These three additional selfie-videos that I took while in Fukushima during September 2017 show what is really happening near Fukushima. We cannot forget about the magnitude of these exposures to all people in order to create an image of normalcy by Japan’s hosting of the Tokyo Olympics. The migrating radioactive dust from Fukushima has had and will continue to have a devastating effect on thousands of people who lived near the reactors and are now being forced to return as well as hundreds of thousands who reside much further away. Highly radioactive samples were found as far away and in such populous places as Tokyo. 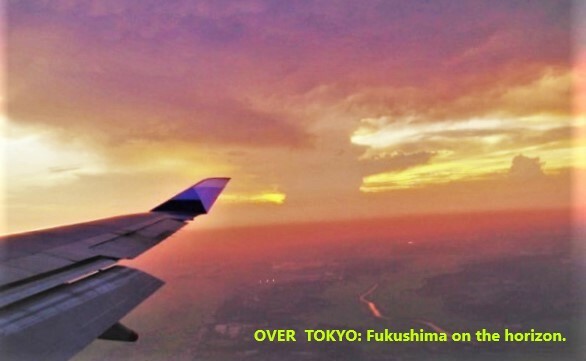 In its effort to try and restore everything to the way it was before the triple meltdowns, the government of Japan has failed to realize that Japan and in fact the world, is a much different place than it was before the Fukushima Daiichi disaster. Japan continues to force refugees to return to contaminated villages and is marketing what can only be irradiated products from Fukushima. Cleaning up after a nuclear meltdown is no easy task, in fact a total clean-up is technically impossible, by slapping Band-Aids and quick fixes onto the problem instead of acknowledging the scope, severity, and root causes of the issues, the politicians and government officials of Japan and TECPO are endangering the lives of thousands of Japan’s citizens in order to protect their political standing, personal financial status, and the wallets of the nuclear industry. We might pause over predictions that the 2020 Olympics-Paralympics may end up costing 3 trillion yen (approximately 26.4 billion USD), many times the original budget for what was promised to be the most “compact Olympics” ever. These games are often touted as the “recovery Olympics” (fukkō gorin). It is not hard to conjure ways that these monies might have been used to benefit the entire region afflicted by the triple disaster and especially, the victims of the enduring nuclear disaster. A pittance of the Olympics budget would have sustained modest housing support for evacuees, compulsory or “voluntary.” Instead, the highly restricted, arbitrarily drawn evacuation zones have been recklessly opened for return of evacuated citizens despite worrisome conditions prevailing over wide swaths of the region. The Olympic soccer center that served TEPCO as a base for radioactively contaminated disaster workers (where they slept, donned protective gear, and were screened) has been contaminated by radioactivity yet is scheduled to be the training site for the national soccer team. Dr. Field’s introduction and Dr. Koide Hiroaki’s extensive article in APJ are crushing to read, yet they do not tell the whole story. I feel it is important to expand upon the ongoing radiation exposures that the 160,000 Fukushima refugees are still experiencing, eight years after the meltdowns. This science, that governments are hiding from people around the world, is not difficult to understand, especially if we also focus on the desire of world governments to keep alive the ever-intertwined nuclear power and nuclear weapons opportunities they have invested in so heavily ­– financially, politically, and emotionally. During my four trips to Japan, and from all the people who have written to Fairewinds from Japan since we first published our book there, I have met, spoken with, or communicated with numerous refugees from Fukushima and truly believe that Fairewinds understands their traumatic losses. While people world-wide might cheer the Tokyo Olympians, the human perspective should focus on the real victims, those who are being shoved out-of-sight. The bottom line is that to reduce cleanup costs while spending enormous funds on the Olympics, the government of Japan treats its 160,000 Fukushima evacuees as if they were radiation Guinea Pigs, forcing them to return to recontaminated areas to try and convince the world everything is ok, meanwhile making it difficult for serious scientists to accurately assess the effects of radiation on these evacuees. The billions of dollars being spent on the Olympics would be much better used to help those displaced by the Fukushima Daiichi disaster. Help these families find permanent homes and employment and new supportive communities far away from the contaminated areas that they are now forcibly being returned to. Fairewinds will keep you informed. 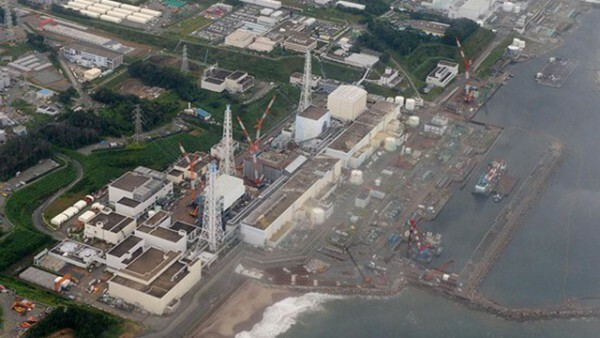 As we prepare for the eighth remembrance of the March 11, 2011 earthquake, tsunami and triple meltdowns at Fukushima Daiichi, Fairewinds is ever mindful of what is currently happening in Japan. In February 2012 when I spoke to the press at the Tokyo Foreign Correspondents Press Club, the governments recovery from the radiation released by Fukushima has never been about protecting the people of Japan. It was clear in the immediate aftermath of the world’s largest atomic power disaster and still today, the government of Japan is focused on protecting the financial interests of the nuclear power corporations in Japan so they may build new reactors as well as continue to operate the old ones. Clearly, the steps taken by the government of Japan shows that the survival of the electric generating corporations like Hitachi, Toshiba, Tokyo Electric and others are more important to the Abe Government that the survival of 160,000 evacuees and the future of the food supply emanating from Japan’s agriculture and aquaculture. Fairewinds Energy Education will keep you informed with Part 2, at fairewinds.org. In response to this crushing blow, dozens of her fans have offered to undergo spinal taps for blood marrow transplants in a desperate bid to reverse this horror. Concrete, steel and glass can defy the fallout from Fukushima, but the frail human body is defenseless against black rain. Rikako-chan is the junior record holder in the 50-meter freestyle and butterfly stokes, but now her sports career is over. We hope that her life can be rewarding in new ways different from her superb achievements. Her grievous case has wide importance because lesser-known teenage talents can be expected over the coming summer months to quietly drop out of competition and fade away into the shadows. These youngsters, who should have been shielded from the radioactive threats in their living environment, especially the contaminated water supply of Tokyo, are victims of a public-health system in denial who will suffer pain, mental anguish and economic deprivation, all due to cynical lies told by the megalomaniacal Prime Minister Shinzo Abe, whose henchmen paid bribes to athletic officials to steal the IOC host-city award from a much-safer Madrid and Istanbul. The incapability of Japanese law to bring this flagrant criminal to justice leads inexorably to the conclusion: The 2020 Olympic Games must be boycotted by the international community, to be followed up with a worldwide ban on all imports from Japan and an end to foreign tourism to those radioactive islands. It is up to foreigners to protect Japan’s helpless citizens and pressure Tokyo to comply with international standards, minimally on par with Ukraine in its emergency responses to the Chernobyl disaster. Only by international pressure will the Japanese people be moved to finally confront their habitual complacency and challenge a slavish feudal mentality to start acting as responsible citizens of a democratic society. Either the world community takes stern action or suffer eternal shame for collaboration with an ongoing genocide, possibility the greatest in world history when the final toll of Fukushima is reckoned in decades to come. The deaths of nuclear workers, rescuers and local residents since 911 have gone unreported or attributed to secondary symptoms. These 311 victims have been ignored under a shroud of denial. The outstanding newspaper that dared break with self-censorship to truthfully report on the real extent of the Fukushima disaster, The Japan Times where my colleagues and I once toiled till the late-night deadline for the public interest, has been editorially silenced, taken over by a “PR firm” linked with the far-right fanatics surrounding the nuclear shogun Shinzo Abe. Its unmatched archives charting the Fukushima disaster are no longer available to the public. It should be mentioned here that editors in the JT staff defied serious threats from government ministries to report the facts of the Fukushima crisis. For their professional courage against threats of violence let me honor their ethical commitment to truth, justice for the people and upholding press freedom. That glorious run is now eclipsed by a darkness reminiscent of the 1930s. The cowardly families of the crooked politicians and corporate executives have long since moved away from Japan to overseas residences to evade the sullen stares of a nation of hibakusha, victims of radioactive exposure, When a regime insulates itself and remains silent because it cannot defend its own policies and maintains power by deaths among their constituency, it becomes the duty for the international community to ratchet up sanctions and other punitive measures under the principle of responsibility to protect an oppressed people from the systemic cruelty as happened to residents of Hiroshima and Nagasaki blockaded by their own government at war’s end. An Olympics boycott is a moral imperative. The International Olympic Committee , in its criminal collaboration with Japanese bribery amid this unprecedented public-health risk, is shielding the IOC’s corporate sponsors that include GE, which designed the plutonium-burning Reactor 3 that exploded during the 2011 meltdowns, and ATOS, a major public-relations firm for the nuclear industry. In an ideal world where adults actually care for the younger generation, the Olympic Games would have been canceled, indeed never authorized for Japan, until an accurate and verifiable worldwide radiation-measuring system gives the all-clear signal. Instead global monitoring has been shut down. The International Atomic Energy Agency (IAEA), the UN-linked nuclear authority, has grossly violated its mandate by orchestrating a global cover-up of the adverse health effects from the ongoing Fukushima catastrophe, abetted by powerful pro-nuclear lobbies in the USA, Canada, Europe, Russia , China, Australia and Israel, all of them complicit in this ongoing genocide. As indisputably shown in my video documentary on health risks at the 2020 Olympics, dosimeter readings at the major sports venues concentrated in the Tokyo Bay area, stand as much as four times higher than the maximum safety limit. These disturbing findings were confirmed just months ago at 39 sporting sites across Tokyo by the Citizens Group for Measuring Radioactive Environment at Olympic Facilities, which showed slightly higher dosages of up to 0.484 microSieverts per hour, far more than quadruple the worldwide safety limit. Due to limitations of non-industrial sensors, these readings are primarily for cesium-137, while dozens of other beta and alpha ray-emitting radionucleotides evade detection. The overall situation is far worse than our available instruments can indicate, as has been detailed by Canadian environmental colleague Dana Durnford. While I’m at it, with the drop-out of so many sites once devoted to the Fukushima issue, let us give support for Arnie and Maggie Gundersen’s Fairewinds Education site (with an .org). The battle with nuclear lunacy is not over by any means, it’s just in its beginning phase, so we must all be strong and never buckle under to political pressure. Radioactivity in water, rain and air humidity have shown many unexpected effects following 311. Radioactivity-caused kill-off of algae and its knock-on effect of shellfish extinction in Tokyo Bay has wiped out the natural filtering out of feces particles from sewage in the river systems that drain into Tokyo Bay. One adverse consequence is a massive spike in e-coli O-157 bacteria populations, which can destroy the kidneys and other internal organs of humans who consume contaminated bay, pond or river water. Public health warnings over rising levels of e-coli in Tokyo Bay, the site for marathon swimming and rowing (and bayside sports including beach volleyball and tennis), has alarmed international sports federations. In response, the Tokyo Olympic Committee plans to tackle e-coli by setting up “screens” along the marathon swimming lane in the bay, which is less effective than giving out tissue-paper condoms in a low-end bordello. “Jodan, ja-nai?” translates as “Could this be a joke?” Tokyo is going full Mexico: A nice place to visit but don’t drink the water or go near it. The marathon, the long-distance race of 42 kilometers (26.2 miles) is the Olympic highlight, which in the radioactive Tokyo context could be a replay of the original ancient Marathon-to-Athens run by Pheidippides, who died at the finish line while announcing the Greek victory over Persian invaders. Actually Tokyo will be more daunting than a javelin contest with Xerxes’ horde of millions, when considering Tokyo’s brutal humid summer heat, lung exposure to cesium particles, and bombardment of bare skin by gamma and beta rays. The entire field of long-distance runners of 2020 could end up like the 300 Spartans at the Hell Gates. Tokyo Bay, just 120 miles from the nuclear exclusion zone, is the final drainage basin of the Kanto region and large swathes of Fukushima Province, an area of at least 20,000 square kilometers. A 5-year study by Kindai University researchers showed astronomical levels of cesium-137 in rivers and swamps that feed directly into Tokyo Bay, requiring nonstop removal of precipitated sludge at sewage plants, which however cannot filter out particles from flowing water that collects in Tokyo’s ponds, canals, rivers and bay. Nearly all the vast watershed’s radioactivity-contaminated water is eventually concentrated in the Japanese capital, especially its Oku-Tama Reservoir, the Metropolitan region’s main source of drinking and household water. It is simply impossible to avoid direct consumption of these many isotopes in food and drink, especially the local diet of rice and noodles, or exposure of skin and lungs while taking a shower or using a toilet. In a science-responsible society, no children would have been allowed to remain inside the Kanto region after 311, the larger region encompassing one-third of the national population should have been mass-evacuated in March 2011 to spare future generations from permanent genetic damage. As it stands now due to corporate greed and a false sense of national pride, so similar to the official denial of military defeat that resulted in the wartime atomic bombings, the Japanese people are now doomed by their self-serving myopic leaders to degenerating into a race of mutants, which explains why young Japanese women are so reluctant to give birth, resulting in a demographic collapse. The Japanese are not the only ones with suicidal tendencies, when around the world irresponsible parents who have no concern about their yet-born descendants are blindly encouraging their children to participate in the Tokyo Olympics as athletes, spectators or volunteers. Whoever participates in or attends this fatalistic gathering will become carriers of chromosome damage back to their native societies. What price in human lives is the real cost of a Gold Medal? Is it worth winning a race at the sacrifice of dooming your children-to-be as genetic mutants? When a corrupt IOC has gone mad and cannot be trusted in the least to protect young atheletes, others of us with our ethical faculties intact must step in to stop the killing. 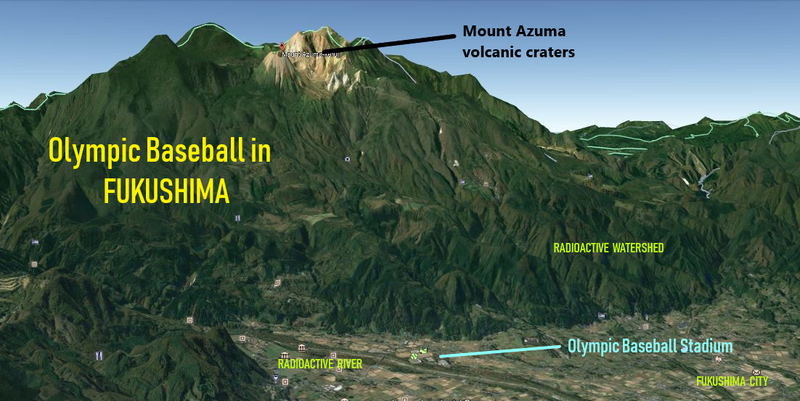 The fanatic nuclear-militarist regime of Shinzo Abe, intent on revenge for 1945, has put the Olympic baseball competition inside Fukushima Prefecture directly between the active volcanic crater of Mount Azuma, long overdue for eruption, and a tributary of the Abukuma River, the most radioactive water body in Japan. In event of a volcanic eruption all players and participants will be trapped between fast-descending lava flows down that steep slope and a wall of radioactive steam, in a strikeout for the Olympic movement forever. Russian state nuclear corporation Rosatom will help Japan in handling the crippled Fukushima nuclear power plant (NPP) and will be engaged in the nuclear control plan, according to the company’s CEO Aleksey Likhachev. “We have been engaged by Japan to implement the nuclear accident management plan at the Fukushima NPP. We have won two tenders and are going ahead,” Likhachev told Russia-24 news channel. In September 2017, Rosatom’s First Deputy CEO Kirill Komarov said that Rosatom offered their Japanese counterparts assistance in cleaning up at the Fukushima NPP and in decommissioning other unsafe nuclear power plants. The accident at the Fukushima nuclear power plant occurred in March 2011 when a massive tsunami triggered by a 9.0-magnitude earthquake overwhelmed the reactor cooling systems at the Fukushima Daiichi plant in northeastern Japan. It caused reactor meltdowns, releasing radiation in the most dangerous nuclear accident since Chernobyl in 1986. Open the video We don’t hear much about Fukushima, do we? There is good reason for the media to ignore it. Join me as we look at the Fukushima nuclear disaster…then to now. The truth needs told, and it’s scarier than you can imagine. This is great video to start the year off with , being the first stream of 2019 I will cover a lot of the basics . That way everyone is able to get a better grasp on the massive event and understand where solutions are desperately needed and what the real situation is. We can not pretend any longer that Japan is trying or even cares so we need to step up and into the fray. Hello… (State Of Oregon) I tried to call (Oregon State University) earlier to hopefully speak to an Oceanographer about my recent trip to Seaside Oregon. Being from Honolulu & Northern California I am pretty familiar with the Ocean and the vast species it is a habitat for. So, on a several day trip to Seaside, Oregon, I was astonished to see NO Marine Plants, NOTHING living at the High Tide Line and the complete lack of Mussels, Oysters, Plankton, Sea Lions, Sea Otters, Starfish, Crabs & 100s of other things I can’t think to name. It also seems there is no more Sea Weed, Kelp, and other Sea Plants. It looked ‘Biblical’ in nature to me. I am Astonished, Concerned, and find it beyond belief how BARREN the stretch from Astoria, Oregon to almost Newport is. All the roadside stops, beaches and places that used to have LIFE in huge ABUNDANCE were BARREN and DESOLATE. There were no Birds to speak of and just a couple dozen Sea Gulls on the Beach. There were NO BUGS, either. I looked for ANYTHING alive and only found a couple of land snails in the brush behind the hotel. The ONLY thing alive beside the People were the dogs at the Hotel. I am serious, it was all eerily SILENT. The only thing that appeared alive was some sort of THING that was blue in color, round, a little bigger than a Silver Dollar and has a translucent ‘hood’ it had raised. It was like a coin flipped on end. There were 2 of them. They were near High Tide line and the Tide was OUT. The high tide line was littered with corpses of crabs, 2 or 3 of them, about 4 inches across. Just the tops of the shells were left, maybe a dozen and they were just about 2 inches across. If a Man was hoping to fish or eat from the Ocean now…HE will DIE. 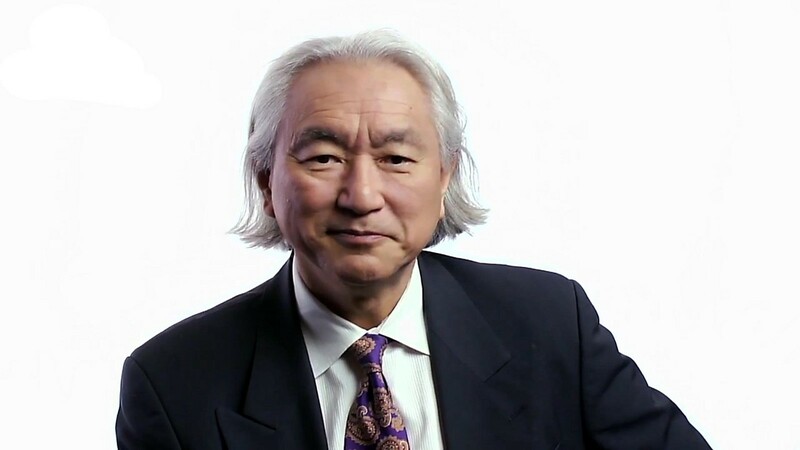 Dr, Kaku has stated that Fukyshima is an extinction level event. He cites multiple reasons that are discussed in the following video.